Reaching your final goal is great but the work doesn’t stop there. Shipping your rewards might sound easy but it may also prove frustrating if you don’t do your research ahead of time. So here are a few things you might want to know before you start happily shipping away the finished product to your loyal backers. We recommend that you do your planning at the earliest possible stage prior to launching the campaign. Shipping costs often times play a deciding role for visitors – whether to buy your product or leave your Kickstarter page. Research, plan, and mind your budget. Good news is, if you’re reading this, you are doing research. Way to go! Are you shipping to one country only or just one region? Are you shipping to the USA, Japan, Egypt, and Eastern Europe? The shipping prices differ greatly and there are so many options. Is your country’s post service good, or is it infamous for losing packages all the time? 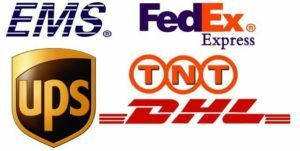 Is DHL, FedEx, UPS, or other logistics service in your country cheaper or super expensive? Do you prefer shipping with insurance (normally it’s 50% more expensive) or without it (cheaper but if the package is lost, stolen, or damaged there’s nothing you can do). 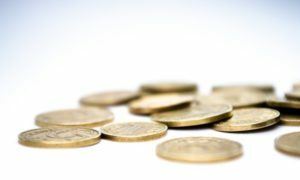 Do you consider the VAT tax when shipping across the ocean? For example, shipping a package from the US to the EU will make the whole thing 20% more expensive (including the price of the item and the shipping). So if you send an item that’s worth $75 with $25 shipping, customs will make the backer pay about $120 instead of $100. Ask every local post service for more information and choose the best one. Shipping worldwide seems great but shipping to certain countries might be a bit harder than you’d expect. Many people refuse to ship to Italy, for example, because they’ve bad experiences with their post services. Online retailers say Italy’s post services are amazingly outdated, slow, expensive, and corrupt; it could take months for a single package to leave customs; lots of items get lost. So think twice before saying you ship worldwide. Because it’s not just Italy’s post services that are notoriously bad. China, Russia, and many countries from South America have so many additional taxes, requirements and/or restrictions, you’ll have to consider shipping your items to these countries. Or get a very reliable courier. If you are producing your rewards in another country, ship them directly from there. For example, if you’re based in England but the items for your campaign are produced in Germany, deliver them directly from Germany. Simple as that. We mentioned a few countries that are hard to ship to, but unfortunately, every country’s post services, including the ones in the US, can make your life harder. The members of our now not-so-secret meeting reported they shipped items with DHL, which delivered them to USPS, and the end user got… an empty box with a note “The content was lost”. Even more items are delivered broken. Not cool. The creators of “Chaos Reborn”, for example, used a separate company to handle the shipping of their t-shirts, but the company ultimately failed to ship all of the merch – the team behind “Chaos Reborn” had to finish the job manually. Fortunately, they had backer kits, which allowed them to raise money after the Kickstarter campaign has ended. Huge items such as heavy collector’s editions are undeniably cool, but shipping them to another country, especially one across the ocean will be extremely expensive. The guys from “Wolfed” calculated that shipping an item below 2 kilograms (about 4.4 lbs) and small sizes are more likely to arrive. They shipped 500 items with the Bulgarian Posts and all of them (!) arrived successfully. Plan the shipment with the post office. Do you think the guys from “Wolfed” just arrived one day in the post office with 500 boxes and started sending them one by one? Yeah, that would be a great entrance, but wouldn’t work out really well. 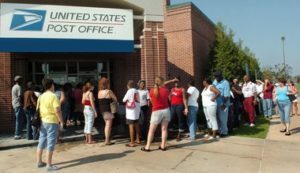 So they talked to the post office manager, arranged a day and an hour, and made it all possible. Use this time to ask the post office how much will everything cost you and get some kind of an estimate how long will it take for the items to arrive. You won’t get one if you don’t ask for one. Shipping a huge amount of items makes your immediate business a priority, so try to get a slight discount from the post office or courier. For example, if you get a discount of 25 cents per package, and you ship 500 of them, that’s $125 worth of savings. It might not seem like much but after a hard day at the post office you might want to treat yourself to a very nice dinner and $125 will definitely get you one. Or two. Or a month’s worth of food in some countries. Unfortunately, you can’t just leave your boxes in the office and wave goodbye, imagining how some poor soul is taking care of every single package. You’ll have to fill a lot of paperwork, sort the boxes by weight, and open them all. This will fill your day so brace yourself – it might take a while. If some of your items get lost in transit, you must have a backup plan. Replace the lost items as soon as possible. Backers also sometimes demand refunds or declare their package has been lost when an item doesn’t arrive soon enough, so you’ll have to provide them with an estimated delivery date in advance. If the item doesn’t arrive by then – explain the situation, apologize for the inconvenience and send another package. And that’s why you ship items with insurance. It’s a fundamental thing on Kickstarter, but the end of the campaign doesn’t mean you can stop updating your page. Tell your backers you’re ready to ship, show them a picture of the boxes (no names and addresses should be visible), and give them the estimated delivery date. Give yourself and the post services some time, and if you think an item would normally arrive in 1-2 weeks, say “7-14 working days” instead. Also, be ready to reply to some questions about the shipping. Got more questions about your Kickstarter campaign? Don’t hesitate to ask us here or on Facebook!